Lucas Muecas – Lollipop with chili Powder cucumber flavor. 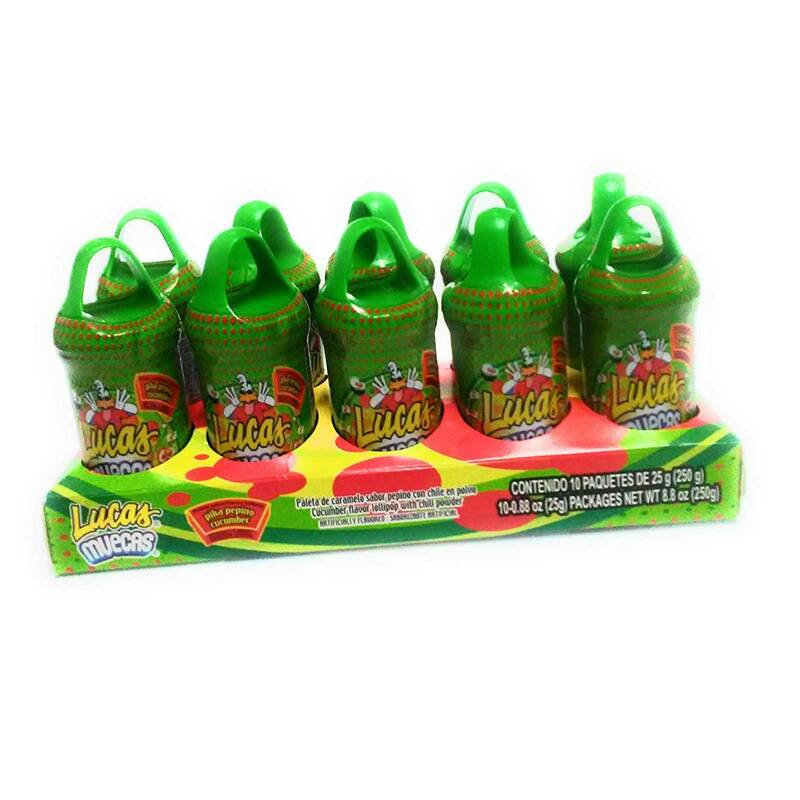 Lucas Muecas are scrumptious sweet n’ sour candies that kids will love. They are perfect to hand out at parties or as Halloween treats. These cucumber flavored lollipops come with a tangy chili powder that will leave your tongue tingling with flavor. Delicious and tasty lollipop with chilli. Order MUECAS PEPINO 10 CT in bulk at wholesale price at Volt Candy Online.